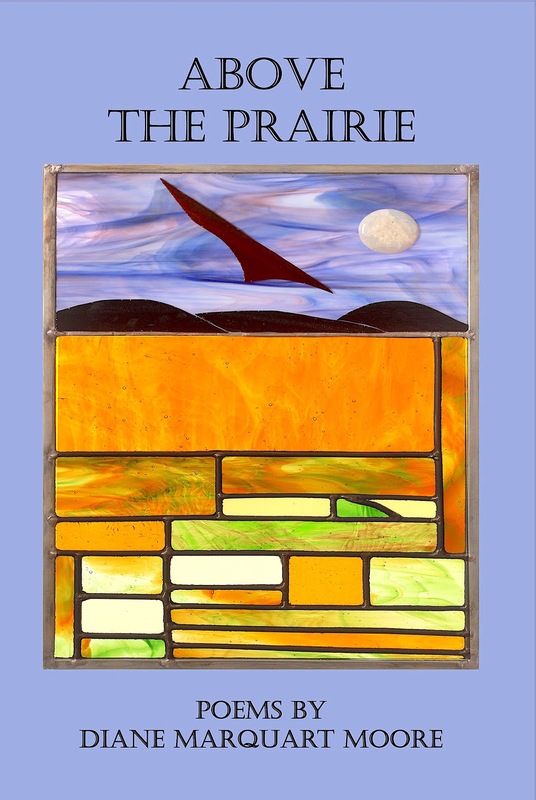 Border Press has published four new books during the last five months and today announces its latest title, Above the Prairie, by Diane Marquart Moore. The collection of poems is a study of the broad Cajun Prairie in Louisiana and its early inhabitants, from Attakapas and Opelousas tribes to Cajun immigrants. 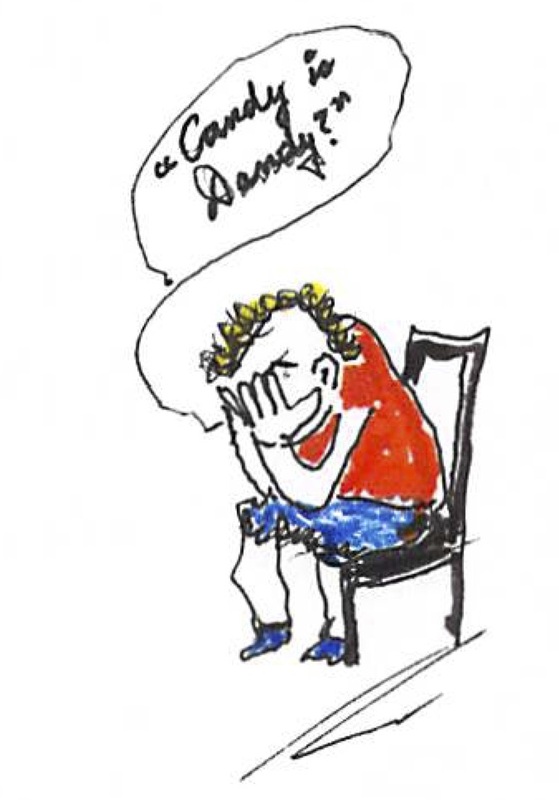 The book includes a section entitled “An Everyday Journal,” ironic, lyrical observations about ordinary life that may resonate with readers who have had similar experiences. The cover of this volume is a photograph of a stunning piece of glasswork rendered by artist Karen Bourque, Church Point, Louisiana, and designed by Martin Romero of Baton Rouge, Louisiana. Above the Prairie inspired the author when she viewed a small sign advertising “Prairie des Femme” in NuNu’s Art Collective, Arnaudville, Louisiana. In October, Moore, who lives part of the year in New Iberia, Louisiana and part of the year in Sewanee, Tennessee, will be reading for a Louisiana Literature class at the University of Louisiana, Lafayette taught by Dr. Mary Ann Wilson, English professor at ULL. Moore will be featured in a session about how landscape influences writers; and her book, A Slow Moving Stream, is required reading for this class. Into the Silence, released last month, was dubbed a “medical novel” by its author, Dr. John Gibson of Jackson, Mississippi and involves issues of life and death, possession and loss, and the protagonist’s entry into the realm known by the ancients as “The Silence.” A metaphysical novel, rather than a medical one, Into the Silence introduces another of Mississippi’s gifted writers who will be signing books June 16 at Lemuria Books in Jackson, Mississippi. In February, Border Press released Blood of the Believers, a police procedural written by Anne Simon, retired District Judge in New Iberia, Louisiana. 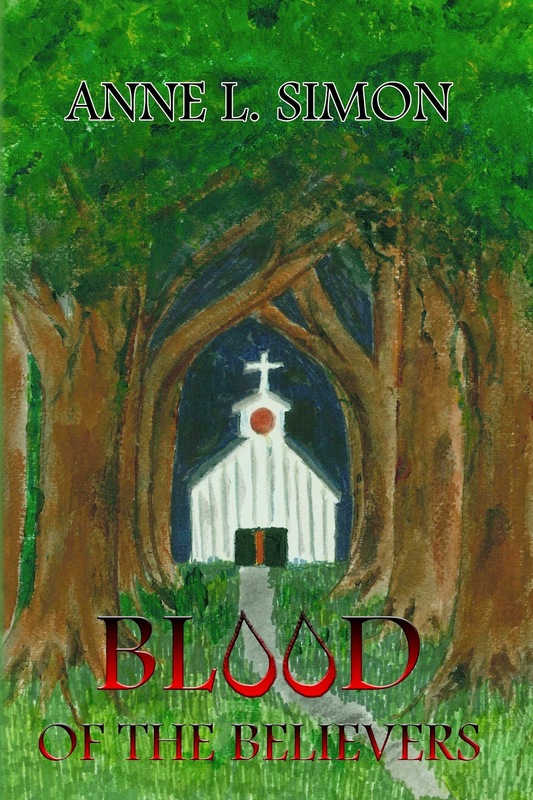 This third title in the “Blood Series” is based on two homicide investigations in the Acadiana area of Louisiana and is a suspense-filled yarn featuring a cast of characters straight out of the bayou country. The novel has been recognized as equal to Simon’s success in the field of law and showcases her talents as a competent writer of crime novels. Simon's new book is also for sale at Books Along the Teche in New Iberia, Louisiana. 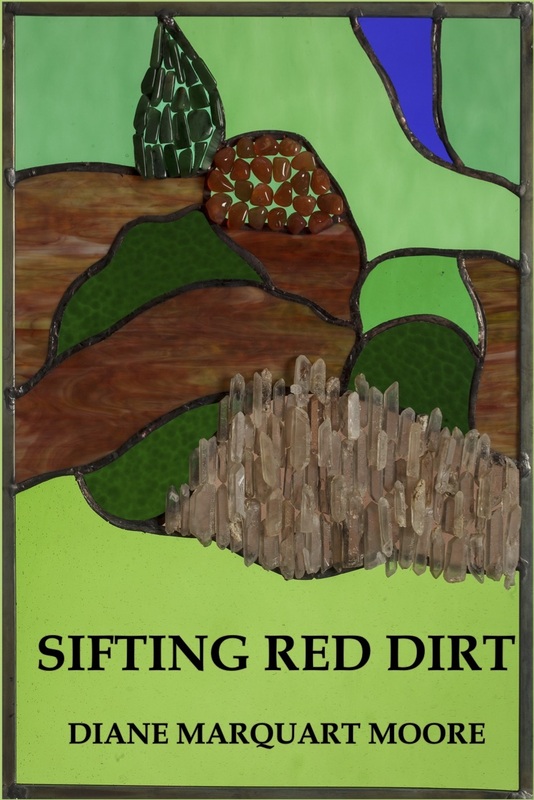 This year, poet Diane Moore also published Sifting Red Dirt, poems about “personal and cultural identity — family and place …that move the reader through layers of grace and wit… as the poet chronicles her maternal ancestors’ joys, triumphs, and failures...” (Dr. Mary Ann Wilson, professor of English, at the University of Louisiana at Lafayette). Two additional titles are planned for the publisher's list this year. Order these recent titles from the Amazon links below or from Border Press, P.O. Box 3124, Sewanee, TN 37375. I finally located my copies of Seek the Holy Dark by Clare Martin after shuffling household goods following my move to Sewanee, Tennessee where I spend six months of every year. 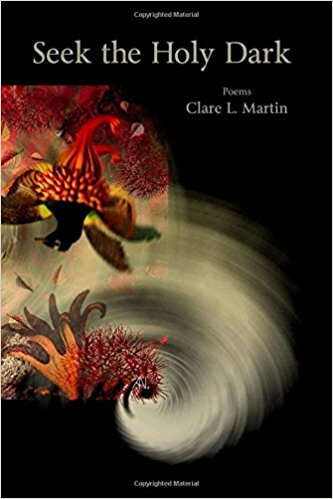 I had read through the book once before leaving New Iberia, Louisiana and knew that the poems in this volume were deep explorations of themes of loss and darkness and would require more attention than a cursory reading. I was standing in the pulpit at St. Mary’s Convent on The Mountain at Sewanee Sunday delivering a homily and had just commented on an article by The Rev. Barbara Brown Taylor that appeared inTime magazine several years ago: “The Rev. Taylor speaks of finding God in darkness and delivered lectures on this theme for the Dubose Lectures here on The Mountain,” I said. “She says that she prays these days to the Holy Spirit which she sees as both the universally divine and the hardest to understand and says her job is to trust its movement…” Although I was focused on the delivery of the homily, what suddenly came to mind was the title of Martin’s latest book Seek the Holy Dark. On Monday, Martin's book turned up. Synchronicity?/! In “Mourning,” Martin writes that “it is simple to relinquish the will to do anything to be a stone within a stone within a stone…over and over, though no cycle rules her, she rebirths herself. Empties her lungs, rises.” It seems that the poet is letting herself into the darkness and allowing her soul to become intact, “stone within a stone within a stone” so she can move on and experience rebirth… no easy answer to the darkness. Seek the Holy Dark is an Intense confessional of a gifted woman who sometimes crosses into the surreal, drawing poems from the depths of herself and seeking transformation while embracing the holy dark. A courageous contribution to the canon of feminist poetry. Clare L. Martin, a native of south Louisiana, is author of Eating the Heart First, has been nominated for a Pushcart Prize, Dzan Books’ Best of the Web, Best New Poets, and Sundress Publication’s Best of the Net.. She is founding publisher and editor of MockingHeart Review. Seek the Holy Dark is available on amazon.com and through Yellow Flag Press, 2275 Bascom Ave. #702, Campbell CA 95008. 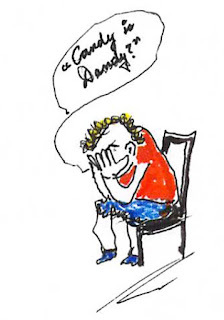 This past week, I celebrated my 82nd birthday and received a gracious plenty of gifts, calls, well wishes, and cards, among which was a box of forbidden food — a box of chocolate caramel candy — forbidden because it’s on a long list of foods to which I am allergic. I ate four of the pieces and promptly became ill. When my youngest daughter Elizabeth called from California, I told her the truth about her gift. When I visited my chiropractor the day after I suffered the chocolate reaction, Amy shared with me that she would buy a sack of Heath bars to distribute at Halloween and by the time “trick or treaters” showed up, the sack would be empty. A highly disciplined and healthy person, she surprised me with her chocoholic confession. Chocolate has some positive qualities for people who aren’t allergic to it, but naysayers downplay reports that cocoa can help reduce the risk of heart disease and provide calcium, magnesium and antioxidant phenols for those who consume this food. I remember that chocolate bars were widely distributed to soldiers during WWII, but back home in the U.S., it was a rationed item, and we were lucky to get a bag of Hershey “kisses” once a year. At that time, when I got sick from eating a few “kisses,” I was accused of overeating. I was fifty years old before I learned that humans could be allergic to this sweet. This week I've been reading D. H. Lawrence's Mornings in Mexico for the umpteenth time, and I woke up thinking of the desert. 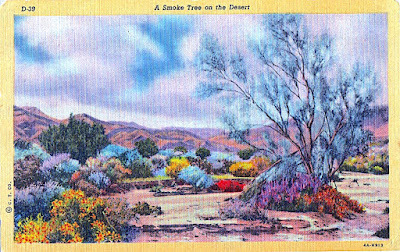 I've written many desert poems but I keep thinking of making a trip to California this year (for another umpteenth time) to visit my youngest daughter who lives in Palmdale, California where desert blooms have surpassed themselves due to the much-needed rain recently. Poppies bloomed profusely, and I longed to visit the poppy center near Lancaster, California where I've seen only one show of the beautiful plant. Back in the 70's when I lived in the desert of southern Khuzestan, Iran, I saw a glorious show of poppies — yellow and red blooms that made up for the otherwise monotonous tan landscape. This morning, I looked through a small black notebook that holds my mother's postcards from a trip West in 1946 and a book with a wood cover I rescued from "Discards" at the Iberia Parish Library in New Iberia, Louisiana entitled Plants of Sun and Sand. Here I am on The Mountain, supposedly counting my blessings for being in a cool spot at an enviable elevation, and I'm pining for the desert! "Go figure," as the young say. On a trip to the Davis Mountains near Alpine, Texas, I became enchanted with the sight of various desert plants, especially the ocotillo with its long branching whips, a plant reputed to make the best honey in Arizona. According to Plants of Sun and Sand by Stanford Stevens, published by the Print Room, Governor's Corner, Tucson, Arizona (the book I rescued from "Discards"), the cowboys used to pluck the scarlet blossoms at tips of the ocotillo branches in the spring and taste them as they rode by the plant. At one time the stalks were used in the building of walls and ceilings and can still be found in older homes in the Southwest. The plant was also used to build fences. My favorite southwestern plant is the cottonwood tree that grows along riverbeds. It's related to Aspen and Poplar trees and, like them, showers the ground beneath with cottony seeds in the spring. only the fiery silence of drought..."
I wrote this excerpt from an impassioned poem about the runaway trip of my parents "to least inhabited regions hidden in the desert broom on the shadow side of a mountain..."
This morning, the fog on The Mountain blanketed trees, homes, and roads with an impenetrable curtain that could have caused feelings of morning gloom at Sewanee, Tennessee. 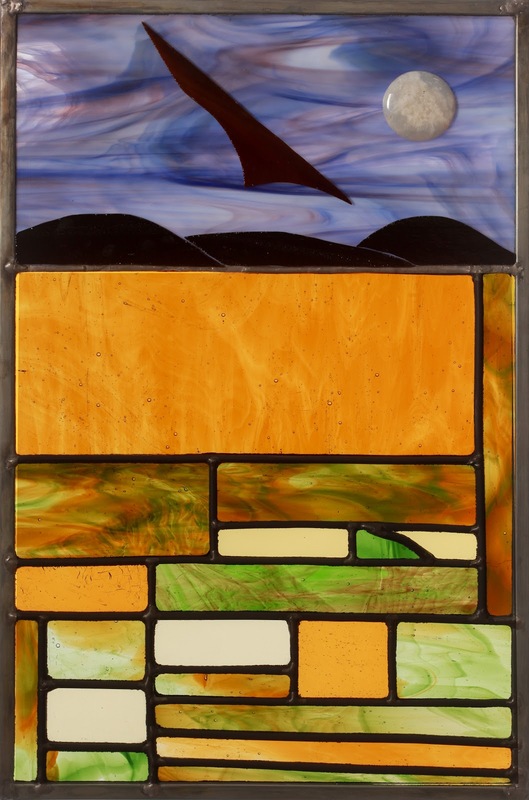 However, when I went into the dining room for breakfast, I looked up at the windows facing our backyard and saw the latest glasswork of Karen Bourque that I brought back with me last week. 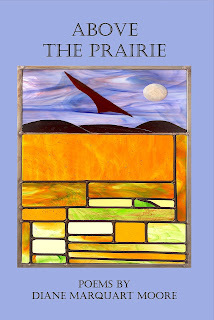 A piece of purple colored glass with a hawk winging its way in the background cut through the somber world outside, and I decided to unveil this piece before it appears on the cover of my latest book, Above the Prairie, forthcoming through Border Press in June. There's no other word for Karen's new work — it's stunning! Karen and I've been working together on covers for my books of poetry during the last decade, and have the kind of synchronicity that births an almost instant process: Border Press publisher, Vickie Sullivan, and I meet for lunch with Karen and her husband, Darrell Bourque, former Louisiana poet laureate, and before we fill our plates, I perceive an idea for a book of poetry, along with the title — presto. I tell Karen about the idea, sometimes sending her a photograph or the first poem, and before I can produce a dozen poems, she has begun work on one of her beautiful pieces. In today's slang about synchronicity, she "gets it." In another life, Karen was a lab technologist, a working mother, and wife, but when she retired, she began to dedicate her talents to glasswork, and her pieces have appeared in churches, spiritual centers, the Ernest Gaines Center at the University of Louisiana in Lafayette, at the Louisiana Book Festival, and other cultural institutions and homes throughout Acadiana. She never advertises her work because the word is out about her brilliant talent. As soon as she completes a commission, and even before she completes a glass piece, someone else is at the door to her studio, seeking her artwork. P.S. At the risk of sounding like a Grandmother braggart: After Karen produces a photo of the glass piece, it is sent to Martin Romero, my grandson in Louisiana, who makes a handsome design around the glass piece for the cover. 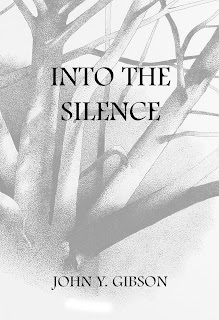 Border Press has produced many "first novels," and its latest, Into the Silence by John Gibson, is among the press's growing list of excellent fiction writers who base their work in southern locales. Gibson, a physician who spent over thirty years on the faculty of an academic medical center in Mississippi, sometimes speaks of his novel as a "medical novel," but I think that Into the Silence could be called a "metaphysical novel" and reveals that Gibson, an Episcopalian, has spent a lifetime of study about esoteric religions, including his own Anglican church roots. Gibson gives the reader a substantive view of a state that has produced some of the finest writers in the U.S. One of his characters, a farmer, provides readers with well-crafted passages about "connecting with something that's bigger than the soil, bigger than the ground you're working on...Some people say it's people who make history. But I think it's the land — it's the land and the rivers that make all the difference...take the Mississippi Delta, for instance: just by being there the Delta enticed man to dig in its soil, to cut and shape the land to suit man's needs...by just choosing to live in the Delta instead of the hills, man was shaping himself, his culture, his politics, his ability to earn and spend money..."
Gibson knows his region, as well as the politics of hospital administration and swiftly propels the reader into a story set in the emergency room of a bustling hospital where readers meet Dr. Todd Sutherland and his patient, Anna Chadwick, who suffers from Ebstein's Anomaly, a ventricular dysfunction. It's Christmas Eve and Sutherland is standing in for another physician; the woman is beautiful and charming, and the scene seems primed for an unlikely romance. However, beneath the surface of Sutherland's obvious attraction to Chadwick, lie questions related to life and death that take the reader into issues far deeper than the introduction of a romance. Sutherland becomes a frequent visitor at the bedside of Chadwick, and ultimately she undergoes a surgery. When she enters into a coma, Sutherland begins sitting with her, and during the vigil at her bedside, he undergoes a dark night of the soul, pondering where her soul must be as it relates to the difference between life and death. As the story progresses, he is accused of shutting off her respirator and endures an ethics trial. Sutherland, in a state of grief, wrecks his car in New Orleans and ends up in Ochsner's Hospital where he experiences a state of consciousness near death and begins to probe the condition of his soul: "I moved through the walls and out in the open air and even more quickly rushed through a kind of tunnel and out an opening at the other end. While I came out of the tunnel, I could see a bright light. When I moved toward the light, a figure came into view..." The man is identified as Parmenides, an ancient healer who heals by prophecy and informs Sutherland that since he is a healer, he needs to learn to go "into the silence." Sutherland begins a study of Parmenides with a New Orleans professor who suggests that the physician put himself in a trance called Orphic Shamanism to contact the Divine for the purpose of healing. Gibson's knowledge of Greek literature, Christianity, shamanism, meditation practices, philosophy, and metaphysics is extensive, and he interweaves these subjects into a suspenseful storyline without becoming didactic. Characters emerge from his medical background showing his adeptness at creating authentic personalities, and his extensive knowledge of healing — ancient and contemporary forms — strongly suggest the quality of care this compassionate, well-intentioned professional practiced during his career as a physician and teacher. 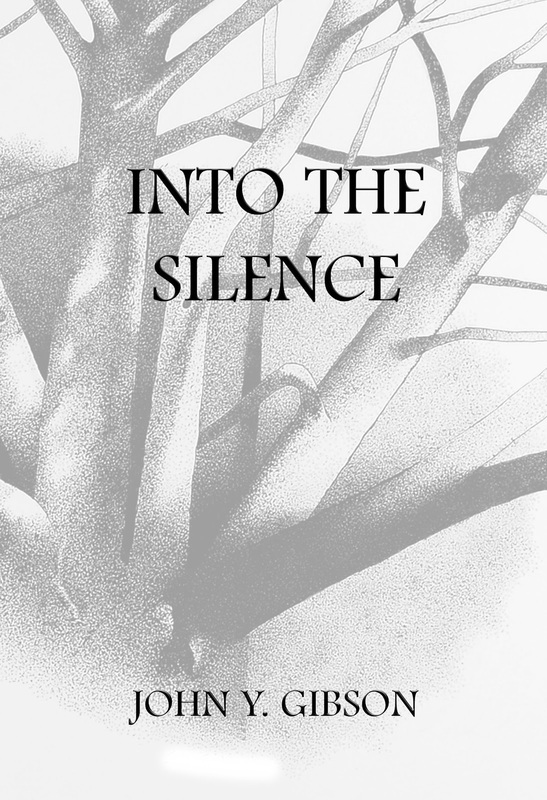 Gibson also rendered the pen and ink cover image of Into the Silence that is one of many works of art he has created and exhibited in Jackson, Mississippi as part of his lifework. 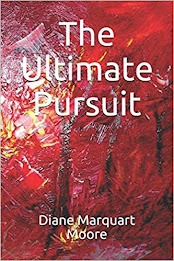 Several years ago, he provided the pen and ink pointillism drawings in Illuminate, a book of poetry by his daughter Margaret Simon that communicates the beauty and mystery of the manifestation of God in the world. He also received an award in the 2012 Annual Cedars Juried Art Exhibition. A Renaissance man actively working in retirement, Gibson is another author who joins Mississippi's impressive gallery of writers and artists. Although I'm a native Louisianian, I had never visited Eunice, Louisiana until last week when I descended from The Mountain at Sewanee, Tennessee, where I reside in the spring and summer months, to Cajun country for a week. My mission was to further explore prairie Louisiana and gather inspiration for a book of poetry I'm writing entitled Above the Prairie. This forthcoming book contains a section about the Cajun Prairie, an area once called "the Garden of Louisiana." In Eunice, we toured the Cajun Music Hall of Fame Museum and the Eunice Depot Museum, the latter of which held the full cowboy uniform of "Boo" Ledoux on the lower level, a tonsillectomy chair (!) and an ancient department store cash register from Wright's Department Store in the lobby area, but our mission concerned environment rather than artifacts, and we were directed to a prairie restoration project on a ten-acre plot within the city of Eunice. In 1988, ecologists collected seeds from prairie remnants along railroad rights of way and stored them dry until they were planted within the plot of the restoration project. Sod was also rescued from remnants in danger of being destroyed by hand digging and were propagated in containers from both cuttings and seeds. The seeds were distributed by hand by individual collectors, and this resulted in the production of a heterogeneous matrix of prairie plants. Harrowing worked the seeds into the soil, and plants in containers and sods were transplanted. The process has been described in depth by Malcolm F. Vidrine, author of The Cajun Prairie: A Natural History and a prime mover in the project who also established a Prairie Garden Project in the yard of his home — another model for restoration efforts in southwest Louisiana. We visited the small Eunice site where a diversity of perennial prairie plants have been established, astonished that a swatch of prairie vegetation had been restored within the limits of a city. Vidrine declares that by 2010, the Cajun Prairie Restoration Project had become successful; it was carried out by members of the Cajun Prairie Habitat Preservation Society who removed the non-native tallow trees that threatened the site, transplanted prairie plants, paved a trail, and now maintain a parking lot and a covered metal shelter at the site. The restoration site has become a classroom for ecologists and has also become a model for other projects pertaining to the restoration of prairies with native plants in natural settings. As I included several poems about the flowers and grasses of the Cajun Prairie in Above the Prairie, the discovery of this project involving the tallgrass prairie in southwest Louisiana was a bit of serendipity for me. Less than 100 acres of a 2.5 million acre wilderness remain in narrow strips that are identified as critically imperiled by the Louisiana Natural Heritage Program, and I was excited to see this work by restoration ecologists. As I've often said, one photograph is worth a thousand words, and I'm including a few photographs that my botanist friend Vickie Sullivan snapped while we were walking the short concrete trail amidst this place of natural beauty.